This is a rectangular Automoto Bicycle porcelain sign. This particular Automoto Bicycle sign features a bicyclist wearing a light blue jersey against a red and white background. 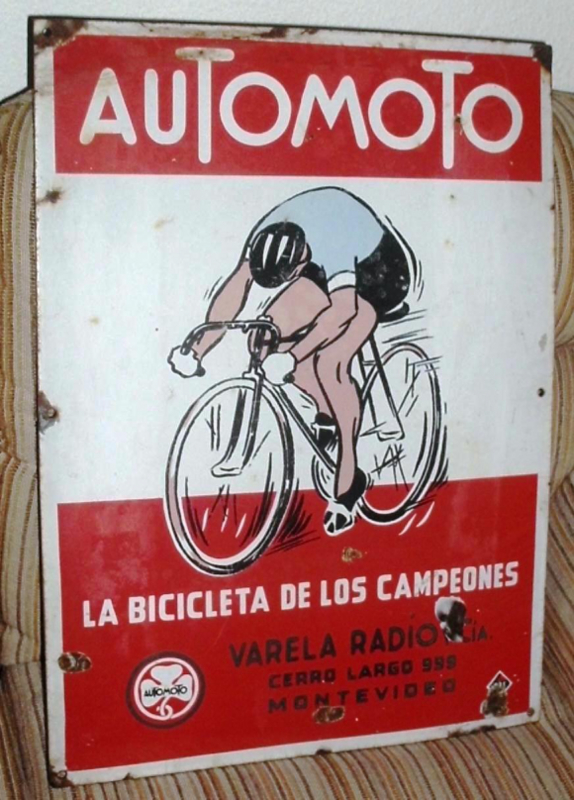 It reads, “Automoto, La Bicicleta De Los Campeones, Varela Radio, Cerro Largo, Montevideo”.